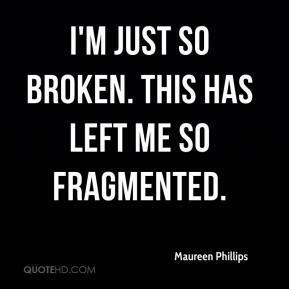 I'm just so broken. This has left me so fragmented. 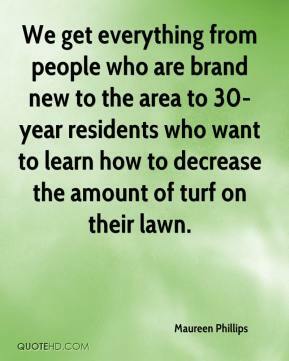 We get everything from people who are brand new to the area to 30-year residents who want to learn how to decrease the amount of turf on their lawn. 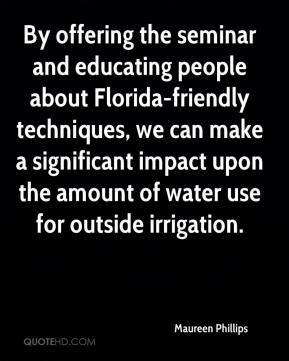 By offering the seminar and educating people about Florida-friendly techniques, we can make a significant impact upon the amount of water use for outside irrigation.